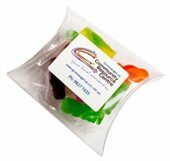 The personalised Jelly Babies 50 Gram Pillow Pack is a little give away perfect for trade shows and a tight marketing budget. Jelly babies always make a huge hit with the crowd at any event. And when you want to champion that upcoming promotion, then you simply can’t go wrong with our custom Jelly Babies 50 gram Pillow Pack. 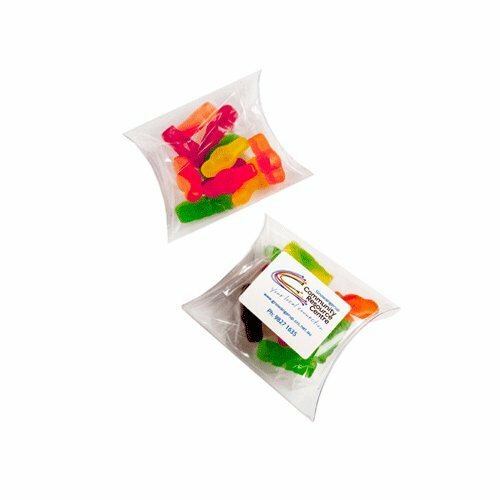 They’re our special jelly babies which are presented in pillow packs, customisable with your own design so advertising your brand becomes easy and fun. The personalised Jelly Babies 50 gram Pillow Pack has a dimension of 95mm in width and 80mm in height. Packed inside are 50 grams of colourful jelly babies. These jelly babies are super delicious and will certainly win you the hearts of anyone who gets to taste them. They also come featured with a printable sticker where you can put your branding or any custom design that you want to decorate your promotional gift with. The printing is done using a full colour sticker so your creativity is not limited. A great idea on how to use the promotional Jelly Babies 50 gram Pillow Pack is to gift them to certain important people. 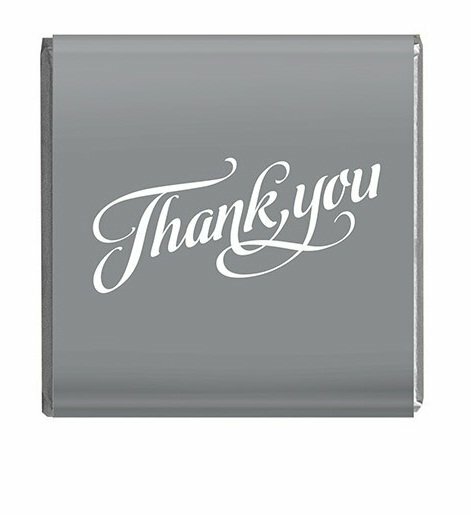 Just print your logo with a special greeting and they’ll make such a warm gift. Or print your full contact details and give them away at trade shows to introduce your business to participants. 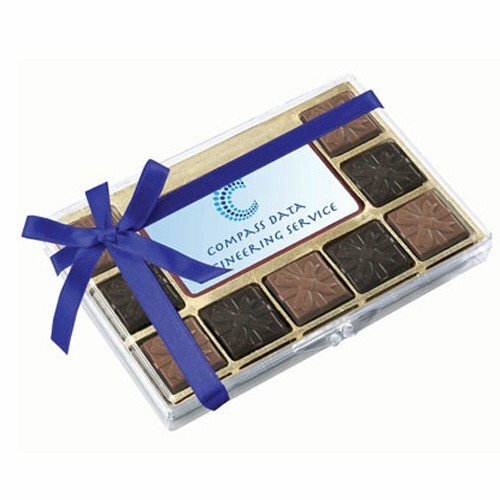 Another great promotional idea for introducing your brand during trade shows would be the custom Choc Beans Biz Card. This biz card style comes with many other cool variants like the promotional Choc Beans Biz Card Box. And if you’re looking to diversify your promotional gift giving, we recommend you take a look at the promotional Otto Flex Brushed Stretch Bull Denim Cap to get an idea of what we offer in our online catalogue of cap products. In case you need help, send us a chat message, or dial 1300 008 300. You can also email us at info@fastpromos.com.au.